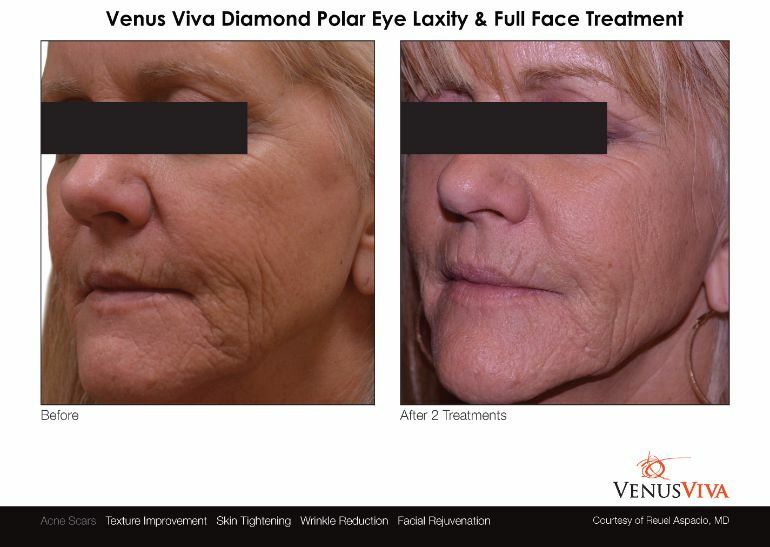 Venus Viva™ features the DiamondPolar™ applicator for non-invasive wrinkle reduction. 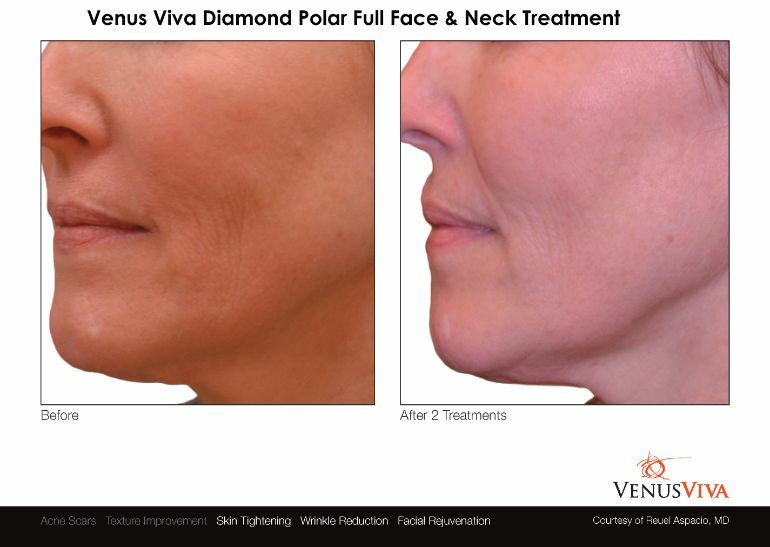 Venus Viva Diamond Polar Full Face Skin Tightening is a fast, non-invasive treatment that is very effective in helping to tighten the skin and to reduce the appearance of wrinkles. 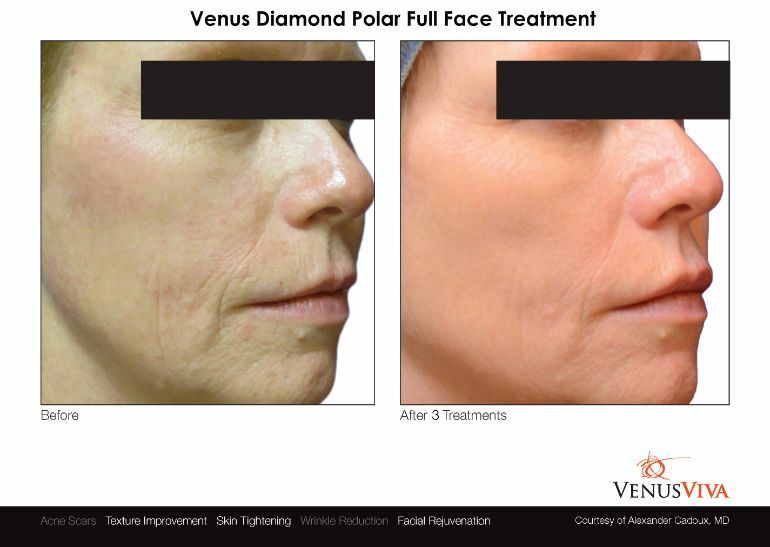 Venus Diamond Polar™ uses Pulsed Electro Magnetic Fields, which give you the added benefits of better oxygen, nutrients, and blood to the skin, giving it an immediate, long-lasting glow. 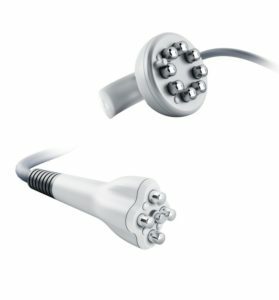 This is a fast and relaxing treatment, and can be done weekly. 1. 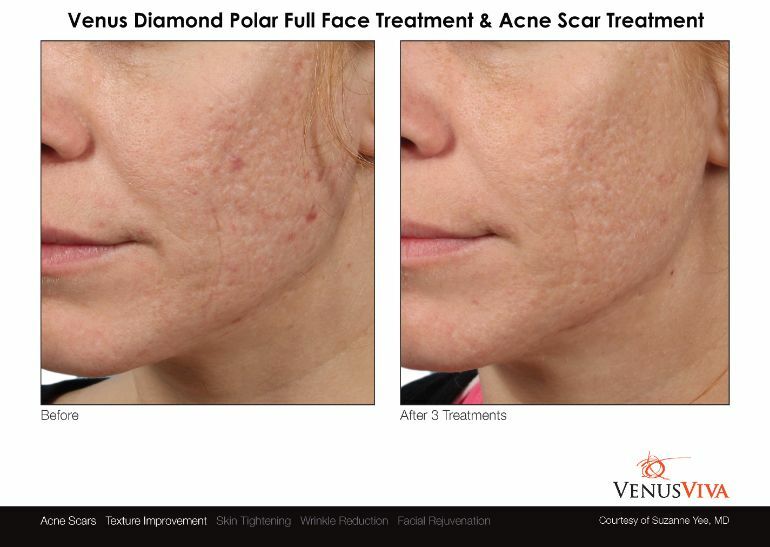 What is Venus Diamond Polar Full Face Treatment?